The best biographers do their research, check their sources, investigate the truth and, ideally, know their subject personally. All these qualities come together in the book of Matthew, the first of the four Gospels that open up the life, teaching and impact of Jesus Christ. This issue, we explore the life of Jesus from Matthew's perspective, and once again grasp the significance of His coming to earth. Quoting from the Old Testament, Matthew passionately wanted the Jewish people to wake up to one fact: the long-awaited Messiah is alive, and He reigns! 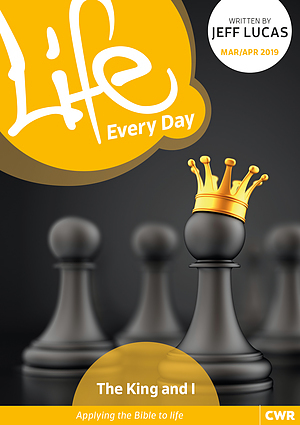 Life Every Day Mar/Apr 2019 by Jeff Lucas was published by CWR in November 2018 and is our 1104th best seller. The ISBN for Life Every Day Mar/Apr 2019 is 9781782599227. Be the first to review Life Every Day Mar/Apr 2019! Got a question? No problem! Just click here to ask us about Life Every Day Mar/Apr 2019.